They say that the eyes are the window to the soul, which means that you are going to want to make sure that your eyes always look their best. There are a number of ways that you can do this and one of the most popular beauty treatments out there for your eyes are eyelash lifts and eyelash extensions. Both treatments are known to increase your confidence and make you feel great about yourself. However, they are different and offer different things. Not sure that you know the difference between eyelash extensions and eyelash lifts? Well, take a look at some of the things that sets them apart. 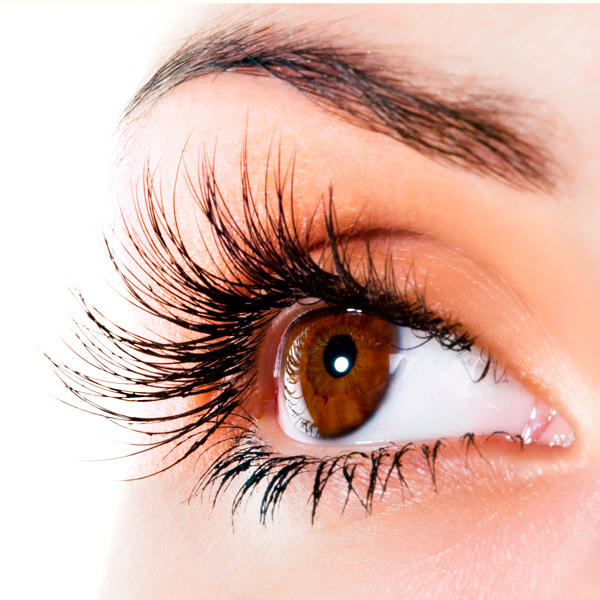 As the name suggests, the idea of eyelash extensions is that they take your natural eyelashes and transform them. This is not only by giving them additional length, but also volume and thickness too. Eyelash extensions can be made from a variety of materials, include faux-mink, silk and synthetic. Each one has its own price bracket and level of natural look. The extensions are either applied as a cluster to your natural lashes, or as individual strands of lash-like fake lashes, these are glued in place, much like you would with a strip lash, but only much more complex and they must be applied by a professional who is fully trained and knows what they are doing. One of the best things about eyelash extensions is that they look amazing. You only have to see someone fluttering their newest lashes to know that they are a worthwhile investment. They are great for people who have barely any lashes or that feel self-conscious about their sparse lashes or short lashes. They also encourage ladies to take a much more natural approach to their make-up, often because they feel happy because their lashes look amazing. 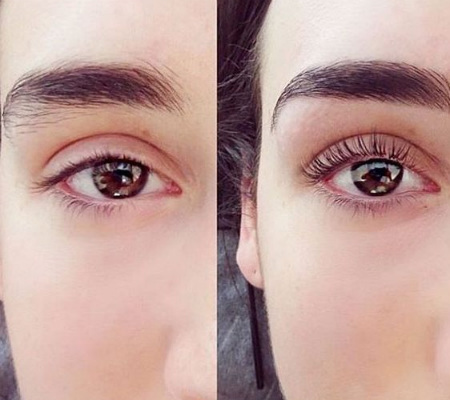 The bad thing about eyelash extensions is that they require quite a look of upkeep too, especially when it comes to washing and drying them to keep them looking at their fluffy best. An alternative to eyelash extensions is having an eyelash lift. Essentially, a lash lift is like a perm for your lashes. It takes the natural lashes that you have, no matter how short and stumpy they are and transform them into the fluttery lashes of your dreams. They do this with a chemical solution that is applied to your lashes, before they are glued down to a silicon shield which pulls them up as the chemical solution sets. Lash lifts are usually completed with a lash tint, which makes them look darker as well as longer and curly. Compared to applying lash extensions, lash lifts are relatively low cost and budget friendly. Whilst they will need doing again, the results usually last as long as 8 weeks (depending on how well your hair holds a curl). This means that they are much better for someone who has a tight budget. They are also great for those who want a low-maintenance way to make sure that their lashes look amazing. Whilst you should avoid getting them wet during the first 24 hours after the treatment, after that, you don’t have to worry about them getting wet in the shower. You can even wear mascara on top of your lashes, even after a lift. This means that you can opt for a natural look during the day, then perhaps pop on a bit of mascara for the evening. One negative to a lash lift, especially when you compare them to extensions, is that you are probably not going to get the same effect as you would with extensions. The results that you can expect to achieve will also depend on your own natural lashes, not exactly ideal if you want lashes that are fluttery and flirty. The thing to remember with both of these treatments is that there really isn’t one that is better than the other. Sure, the results with an eyelash extension are definitely going to be more visible than with just a tint, however, the upkeep is so much more. You really need to think about which is going to match your lifestyle and the time that you have and then you can pick a treatment that is right for you. If you are not sure which one is going to work out best for you, then why not discuss the results that you want to achieve with an expert? They will not only summarise the differences between the two treatments, but also whether or not they are going to give you the look that you crave. Whether you choose an eyelash extension or an eyelash tint, one thing is for sure, you might as well make sure that you feel great all over. Treat yourself to a new outfit, or two and maybe even arrange for a facial or another beauty treatment. Last, but definitely not least, there is your hair. Come and see us at the Aer Blow Dry Bar and book in for one of our amazing updos or blow dry treatments and you can make sure that you feel absolutely gorgeous, from your head to your toes.